Another day, another celebrity hair change. This one goes against the trend, though! "Short hair, don't care" has been the unspoken mantra of Oscar-winner Lupita Nyong'o, who just debuted longer hair. I am used to seeing the actress with close-cropped locks that highlight the delicate, feminine features of her gorgeous face. But she has gone longer and curlier, remaining as glamorous as ever. Clearly, the actress is also having fun with this new coif. So many starlets have been chopping their locks and opting to go shorter, especially in the summer heat Jennifer Hudson, who just premiered a shaved head, for example. Nyong'o, however, has done the reverse trend. Her 'do is still short, but it's a lot longer than anything I am used to seeing on her. Long, short, close-cropped, curly, whatever! 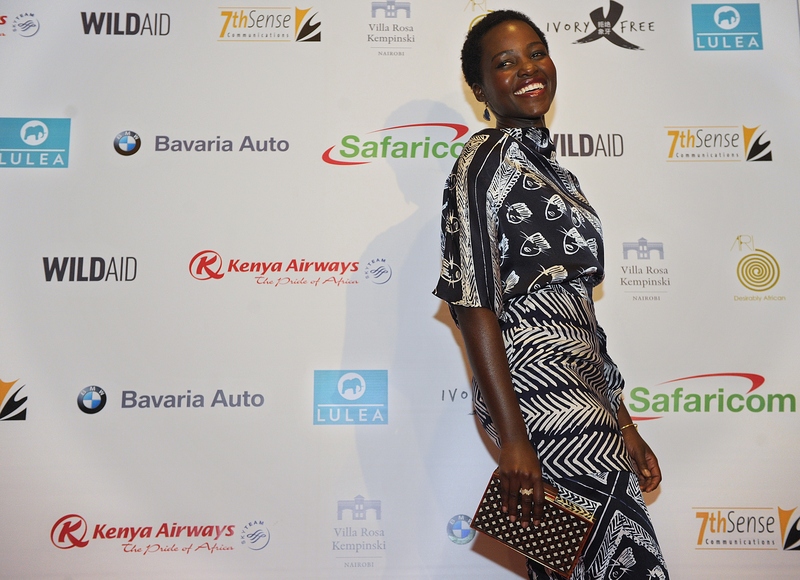 Nyong'o could go bald or add mermaid-length extensions and she'd still blow me out of the water every single time. Nyong'o posted a bunch of goofy Instagram photos, showing off her latest 'do. She also had tons of fun with her new look while at Disneyland, showing off her "first timer" Mickey Mouse ears. Posing with Disneyland Mouse Ears is a rite of passage. Sure, chopping off length and volume can be liberating and lightens the load for celebs looking for a coif change. But Nyong'o is also providing evidence that the opposite is true. Having longer locks can be just as fun for normally short-haired beauties. The actress was admittedly geeking out at the D23 Disney Expo. Because how can you not? Her first pair of Mouse Ears at the Mouse House! The hair and the outfit are utterly adorbs. The white shoes are a lovely, summery touch. Don't you love how the tight curls pair with her striped ensemble? Everything about her look, from her hair to her ensemble, is fun and airy. In case you needed a refresher, here's the Best Supporting Actress Oscar winner with her more familiar, super short hair. She really can pull off any style. Her bun-with-headband coif was so, so glamorous, too. It doesn't get anymore goddess-like than this. It's pretty much a foregone conclusion that Lupita Nyong'o will turn heads no matter what she does to the hair on hers.